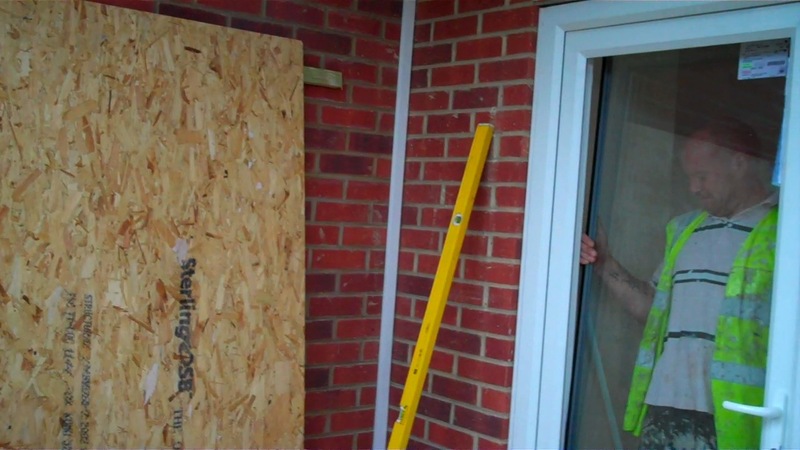 The windows and doors have now been fitted to the properties. All the glazing on the house, including that into the porch and sun space, is triple glazed, krypton filled and with a low-emissivity coating; this makes the windows very energy efficient, with a U-value of 0.8 – the lower the U-value, the less heat is lost. The average U-value for double glazing is around 2. The glazing on the sun space is double glazed; this doesn’t need to be as energy efficient as the glazing on the house itself, as the house and sun space are thermally separated with the triple glazed units. The sun space however is still well insulated, probably as well insulated as most new housing being built today, so will still retain heat reasonably well. 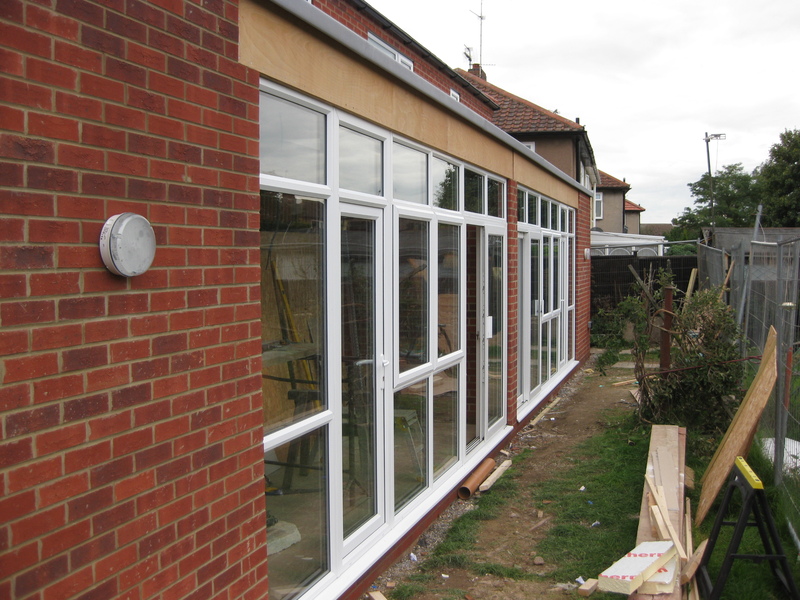 As it is also sheltering a reasonable area of the rear of the house, it will help to further reduce heat loss from that area of the house fabric.